Notes: Pattern developed by Craig Mathews and John Juracek. 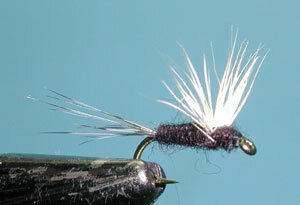 The fly actually has it's roots in another no-hackle fly known as the Haystack by Fran Betters in the 1930's. 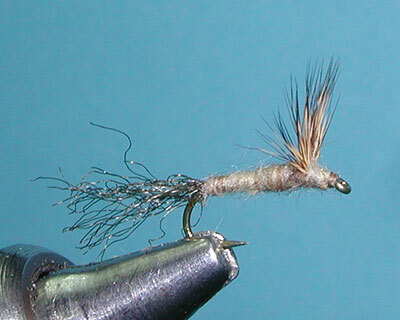 Fran developed this pattern for slow-moving waters that were usually spring-fed. He noticed that under these conditions of clear visibility and slow movement that the fly imitations needed to be much improved for the selective trout that inhabited these waters. 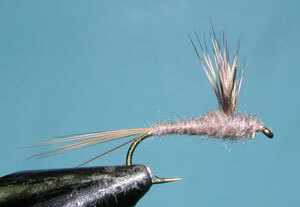 He used a wing of deer hair that flared in an arc so that the lowermost hairs supported the fly in the surface waters. 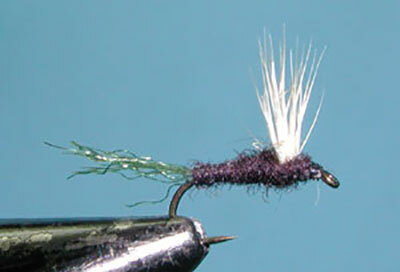 The body was also heavily dubbed to help keep the fly in a horizontal position and had bunched deer hair for the tail. Al Caucci and Bob Nastasi introduced a variation of the Haystack called, the Comparadun, in 1972 from their book, Comparahatch. 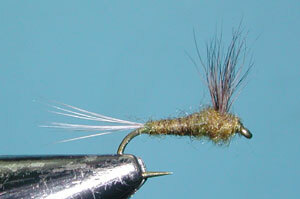 They elongated the tail by using microfibbets or hackle fibers and split them for better floatation. The fly became an instant hit since one could easily vary the size, wing, tail and body color to imitate most any mayfly dun or spinner. Craig Mathews and John Juracek in the mid 1980's went another step further by replacing the split tail with a trailing shuck of Antron or Z-lon. 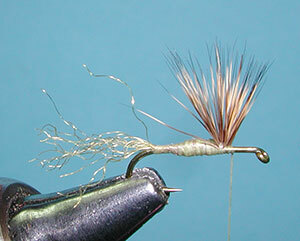 The fly transformed from a dun pattern into an emerger. They also used Antron for the body which helped in keeping the colors consistent when wet. One problem with the pattern is that they do not float long in turbulent water and should be used only in slow-moving waters. It is also important to select fine deer hair that limits the bulkiness of the tie-in position. Comparadun deer hair is taken from the leg of the deer. It is short with black tips and is solid, rather than hollow, which allows the hair to maintain a stiffness that keeps the hairs oriented in the proper direction. You can get assorted colors of comparadun deer hair as some will be a natural grayish dun, a mottled tannish brown, or a creamish tan. Some comparadun hair is dyed to a dun coloration. 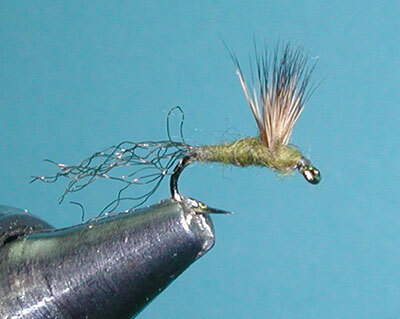 Change the colorations to match the mayfly emerger. 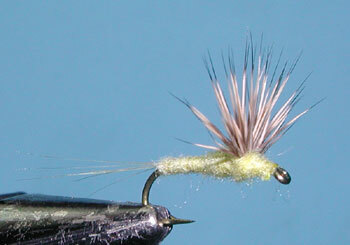 The March Brown Sparkle Dun is a dark tan color that can also be used for Callibaetis. Tricos will have a black body for the males but an olive body for the females.